Spacious private ranch home is PRICED TO SELL! 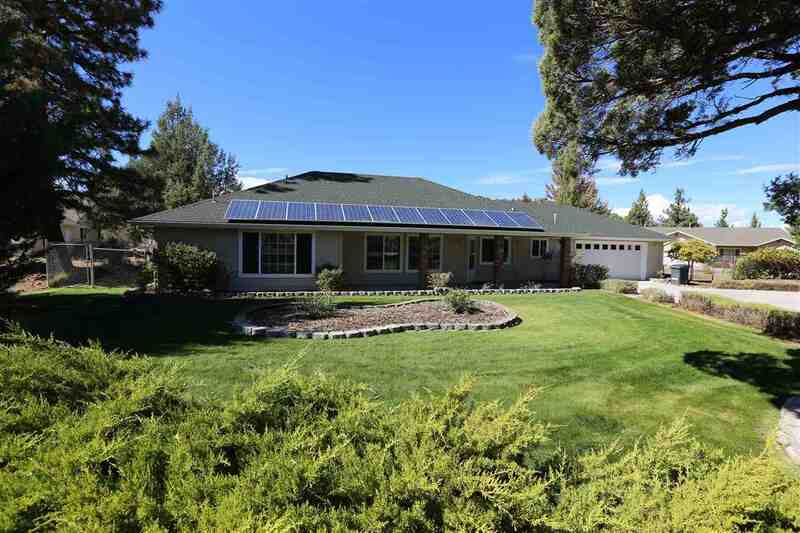 Huge 1.4 acre fenced in parcel with beautiful landscaping and circular driveway. Home has efficient on demand hot water system and a Solar system that powers the home. Fenced in garden area with organic beds, established fruit trees (~ apple, peach, pear) and asparagus, thornless blackberries & raspberries. Floor-plan offers extra 17&apos; x 27" bonus room with fireplace that exits to the back yard, perfect for a playroom or home theater. Large View of Mount Shasta from the front of the home.